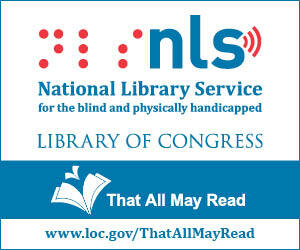 Update - The Library for the Blind and Physically Handicapped has been renamed the ABLE Library, an acronym that stands for our primary services - Audio, Braille, Large-print, and Ebooks. We'll still be offering the same resources to our patrons, but under a more descriptive and contemporary name. The ABLE Library provides services to the visually impaired and print disabled as well as state supported institutions. To receive services you must fill out and submit the Application for ABLE Library Services.